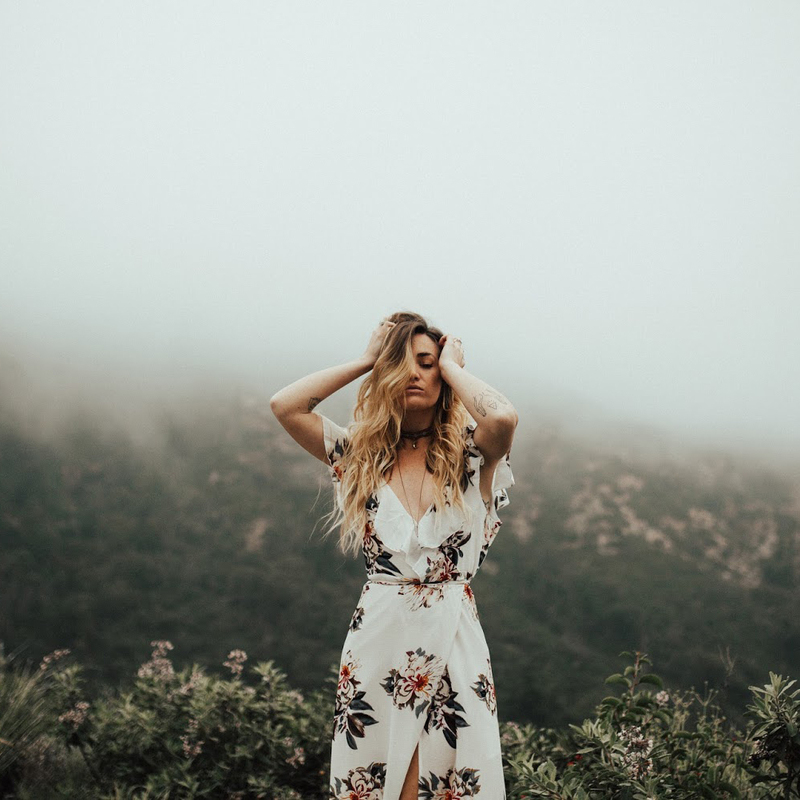 Sincerely, Kinsey: Double Dose of Spring DIYs! Double Dose of Spring DIYs! 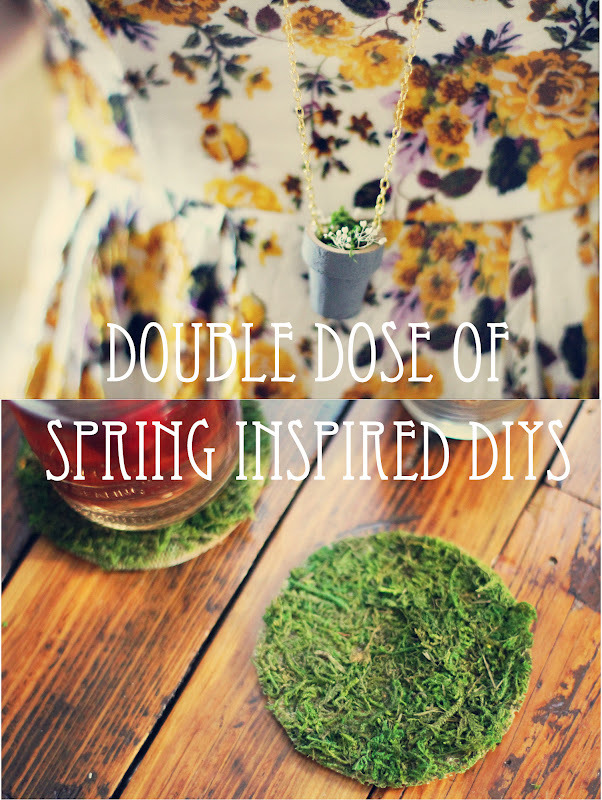 Here are two spring inspired DIYs using moss! Hope you enjoy. 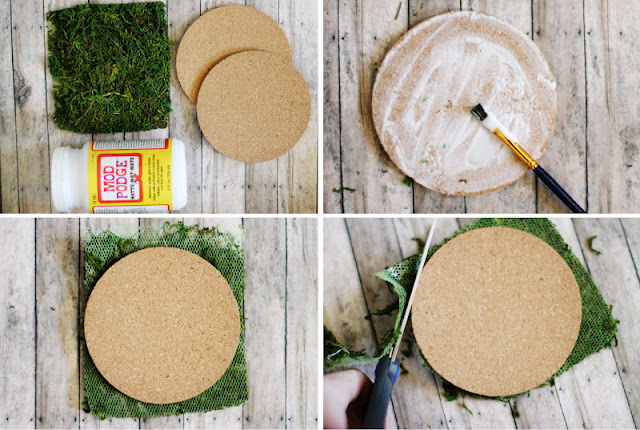 Supplies: Moss mat, cork coasters, Mod Podge. First, paint a thick layer of Mod Podge on the top of the cork coaster. Then, lay it face down onto the back of the moss mat. Once it's fully dry, simply trim the edges; easy as that! 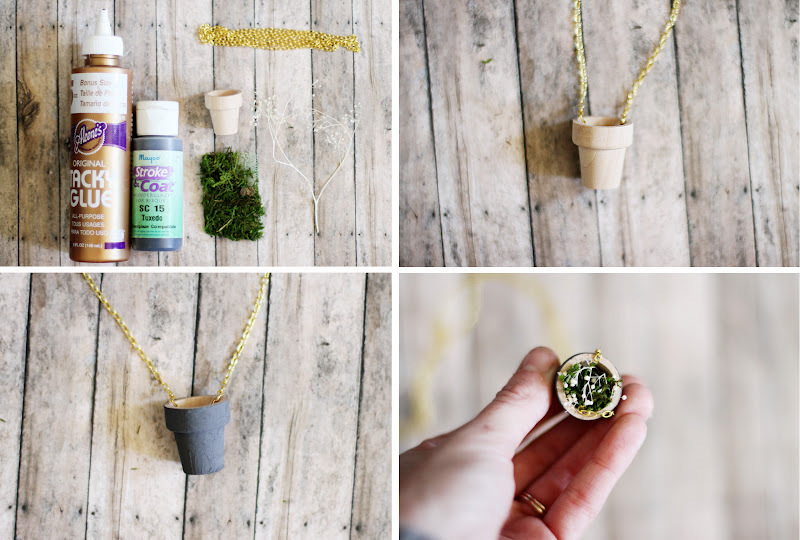 The next project is a simple flower pot necklace. Here are the details..
Supplies: small wooden flower pot (check your local craft store in the wood section! ), moss mat, weeds or dried flowers, paint, craft glue, necklace chain. First, glue both ends of the chain to the inside of the pot. Then, paint the pot the color of your choice! Lastly, line the inside with a thin layer of craft glue and fill it with moss. All done! dress found at a second hand store. I'm off to catch up on some reading with my sweet husband; then on to Red Velvet for the afternoon! Hope your Tuesday is splendid. ahhhh! these are way too cute! i love the necklace! The are great diys! I love the mats especially! Such brilliant DIYs! That first one is so easy, but gives such great results! I can't wait to give them a go! wow-these are both awesome! you are so creative! I love the cute little flower pot necklace! will surely try the pot necklace - looks perfect. this is interesting. :). how precious. the are so cute!! :) i love DIYs.. and your ideas are so inspirable! Love the little pot necklace. What a great idea. You are a genius! Super cute! These are very cute! I am going to make the coasters for sure. That is honestly the cutest necklace I have ever seen. loveeeee the spring coasters.. they are the cutest things for bbq's...picnics... anything and everything! Love it!! You make such pretty DIYs. Oh, I love the little necklace! It is completely adorable. these are amazing! So very talented! The moss coasters look so lovely, certainly adds a nice touch of nature to your surroundings! I've thought of using modge podge for diy projects, are there advantages of using that over elmer's glue for gluing things? The reason I enjoy using Mod Podge more is because it's easy to apply. You could try using Elmers if you like. It would probably work for this project! I just love these DIYs for spring they are gorgeous. I will so begiving the coasters a try they look great. thanks for sharing. I love the coasters! I'm going to make them for my home although I have a question: Where do you get those kind of moss mats? Thanks. i love the coasters! So perfect for spring. Love this ! Certainly want to try it ! Love both of these and think the coasters may just be perfect for my wedding. I've never heard of moss mat though and google isn't helping me much..where can this be bought? And this is no doubt a silly Q but is it actually really moss?! I purchased mine at Hobby Lobby but you should be able to find it at any local craft store in the floral section! Wonderful ideas, thank you so much for sharing!